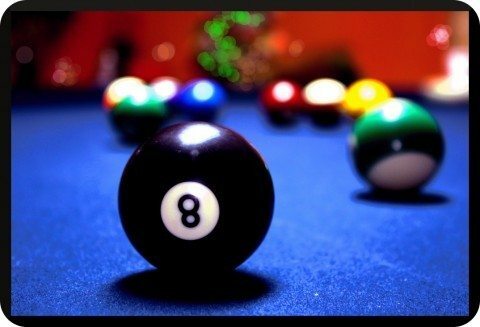 Want to improve your pool playing skills? 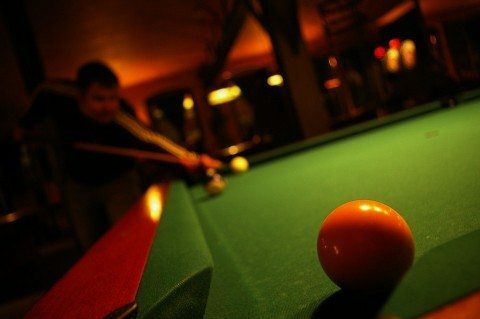 Even if you’ve never played pool before but think you might play with friends soon (like on vacation), then you’ll appreciate these tips. We’ll help you get 3 of the most common pool shots down! The following tips will take your pool playing to the next level. As with most things, repetition is the key. With pool you need to structure the repetition by playing certain pool scenarios until they become muscle memory. Set up a straight shot that you know you can make. For example, you might be confident making a shot with the target ball one foot from the pocket and the cue ball another foot from the target ball. Practice that shot until you can pocket it consistently. Then, begin adding length until you can consistently make the shot from across the table. Experiment with different lengths between the target ball and the pocket and between the target ball and the cue ball. Practice this drill until the amount of power that you need to apply to the shot becomes muscle memory. Note how, at different lengths, you may have difficulty preventing the cue ball from following the target ball into the pocket. This knowledge will carry you into the next drill. After practicing straight shots for awhile, you’ll begin to notice patterns in what happens to the cue ball after it strikes the target ball. At this point, you can begin adding spin — or “English” — to the cue ball. Try this drill from many different positions until you are confident in your ability to make the cue ball back up, stop and follow the target ball as needed. Practicing straight shots can improve your technique, but easy shots like that rarely come along in actual games. So it’s time to get comfortable with angled shots. To improve your angled shots, keep the target ball close the pocket at first. Imagine a line connecting the pocket to the target ball and extending to the other side of the table. Place the cue ball so that it does not fall on the line, and aim it so it will be on the line the instant that it hits the target ball. If your aim is accurate, you will pocket the target ball. Practice angled shots from a variety of locations around the table. As with any game of skill, all it takes is practice to improve your game. Repeat these drills frequently and you’ll have greater confidence (and more wins) in no time! Finally, in this next video pool expert, Max Eberle, shows you how to play pool and NOT look like an idiot. I like this video because he does a great job of explaining very basic (and helpful) tips that newbies especially will appreciate.